Teach Them Diligently Facebook Party and HUGE Giveaways! We are so excited for the HUGE Facebook party that is coming up Thursday night, May 29th, at 9 pm Eastern. In addition to fun, insightful, and somewhat frantic conversation, our partners are joining us in offering over $1,200 worth of prizes!! This is DEFINITELY one party you do not want to miss! How do I Facebook Party? If you have never participated in a Facebook party before, don’t worry! It’s easy to do! First, like the Teach Them Diligently Convention Facebook page. Next, show up a little before 9 pm EDT on Thursday night with some ice cream or other fun snack. (Ok, that’s not ABSOLUTELY necessary, but I like to do it anyway!) Once the party starts, we’ll be posting questions or prizes about every 2 minutes, so make sure you refresh your page often. The party will move FAST. You are free to chat in the threads, answer the questions, register for the prizes, and just enjoy the evening. After the party, we’ll give you plenty of time to make sure you’ve registered before the giveaways close. We’ll pick our winners and announce them all on our FB page after the party. It will be a perfect end to a very fun evening! Just for fun, we are adding an extra element to our Facebook party this time. We will be taking some “field trips” to other Facebook pages to enter to win a series of prizes worth over $100 each! 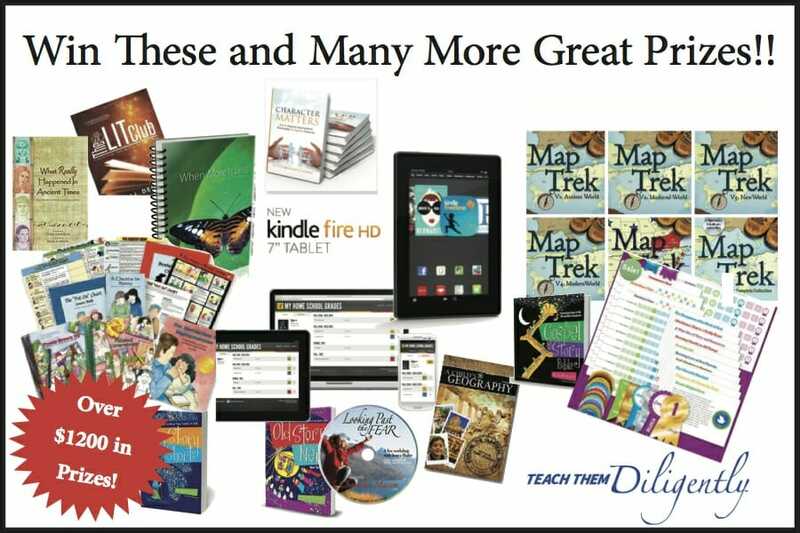 Thanks to Ali Dent, Doorposts, The Teach Them Diligently Planner (Powered by My Homeschool Grades,) Dual Credit at Home, Shiller Math, Knowledge Quest, Raising Real Men, and APlus TutorSoft Math for making the Launch Your Homeschool to a New Level Facebook Party so special! Each of these companies certainly play a major role in helping homeschool families launch their homeschool to that new level, too! Make sure you check them out and learn how they can help your family! What Prizes Can Be Won? Preschoolers and Peace: Homeschooling Older Kids With Success While Loving the Little Ones at Your Feet and Circle Time: Plan the Best Part of Your Day from Kendra Fletcher of Preschoolers and Peace and Homeschooling IRL. That doesn’t even mention all the door prizes and freebies that will be offered!! RSVP early to register to win a Pre-Party Prize Pack, consisting of a Teach Them Diligently Prize Pack (Travel mug, tote bag, AND free registration to your choice of Teach Them Diligently Events in 2014 or 2015!) as well as a lifetime membership to the Teach Them Diligently Planner, powered by My Homeschool Grades. Pre-party prize pack is worth more than $225!! Follow the instructions below to RSVP and enter to win! Make your plans NOW to join us at our next Facebook Party on May 29th! And don’t forget to register for Dallas before it’s too late to save an extra $10 with early online registration— the deadline to save an extra $10 is TOMORROW!! Act now. Author Karen DeBeusPosted on May 27, 2014 Categories Character, Extra Fun! Previous Previous post: Win a Lilla Rose Hair Clip!